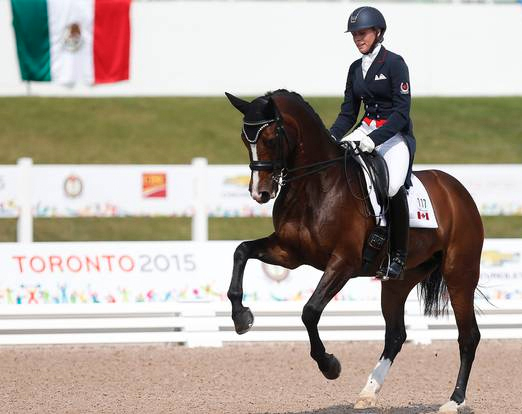 It can be a little confusing trying to figure out which dressage countries have punched their team ticket for Rio given the new formula for these Olympic Games. The FEI’s qualification rules can be found here. 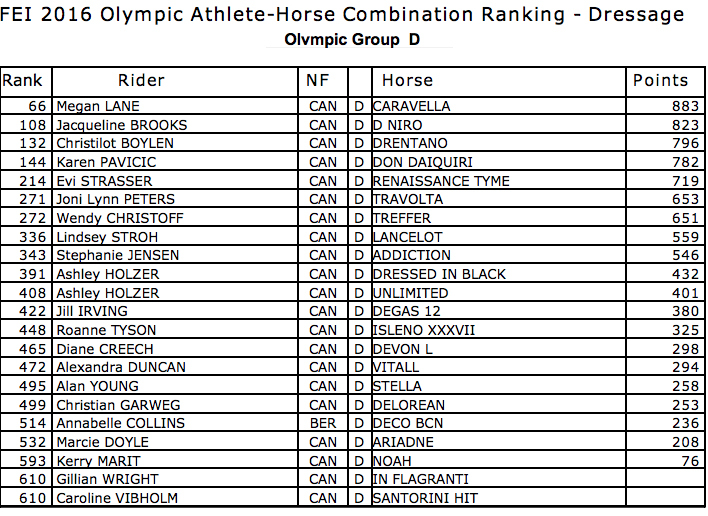 In total, there is a maximum of 60 athlete-horse combinations (10 teams plus 20 individuals plus 1 possible composite team) who will be cantering up the centreline in Rio. As the host country, Brazil automatically will take 4 of those spots. Japan (top ranked team from FEI Groups C, F & G at an FEI approved special qualification event which held at the Perl, Germany CDI2*) bringing the total number of teams to 10.<br /><br />Along with those 10 teams, whose athletes take up 40 of the available spots, there are 20 starting places to be filled individually. If a country can qualify at least three athletes as individuals, they can join the team competition as a composite team of three or four. 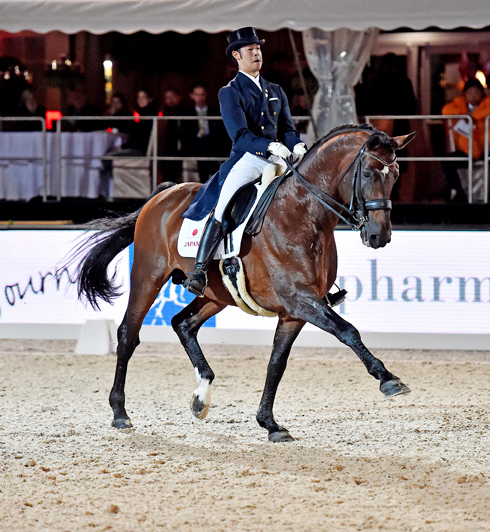 This will use the FEI Olympic Athlete Ranking list, which denotes a pre-determined list of qualifying FEI competitions where the best 4 results per athlete/horse combo between March 9, 2015 – March 6, 2016 is used. 6 athletes from the best ranked in the FEI Olympic Ranking Athletes from countries who HAVE NOT already qualified an individual quota place for their FEI Group at the Pan Ams, Perl CDI2*, the FEI Olympic Ranking list above or who have qualified a team. There is an opportunity for a non-qualified country to create a composite team (min of 3 to a max of 4 horse/rider combos). This is determined by using the Individual Qualification mentioned above. Not to be forgotten, is the all important minimum eligibility requirements which must be achieved by all horse/rider combinations who are to compete at the Rio Olympics. This means twice achieving a minimum of 64% in the Grand Prix at 2 different CDI3*, 4*, 5*, CDI-W, CDIO between January 1, 2015 and June 19, 2016. This might be where Brazil falls short in being unable to form a complete team and could open the door to others. Yes….that was as exhausting to type as it was to read. As you can see from the above list, there are a number of dressage countries who are missing on the “already qualified” list including: Austria, Denmark, Belgium, Switzerland and of course Canada to name just a few. The race for Rio is certainly not over, and it will be interesting to see both who can qualify a composite team as well as how the individual quota slots shake out.